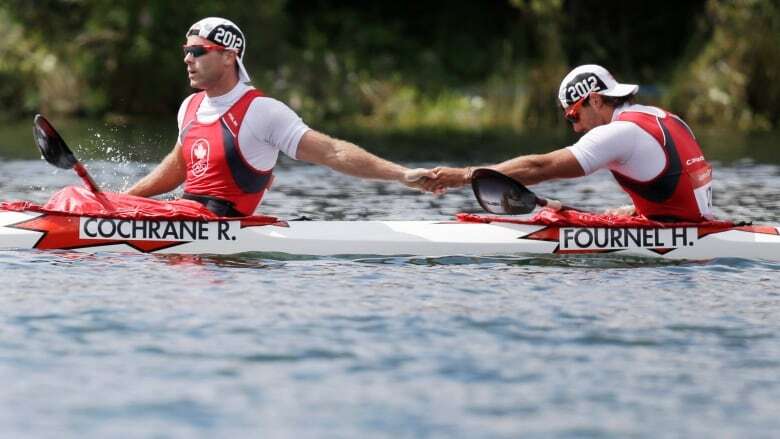 Canoe Kayak Canada selected Ryan Cochrane and Hugues Fournel to the Canadian Olympic team on Sunday after receiving two additional quota spots for the men's K2 200-metres event at the Rio Games. The additional quota spots were allocated to Canada by the International Canoe Federation on Friday after a Russian crew was suspended due to a doping infraction. Cochrane and Fournel were selected based on the recommendation of Canada's national team discipline coach, Frederic Jobin. The pair finished ninth at world championships last year and seventh in the K2 200 at the London 2012 Olympic Games. The additional crew brings Canoe Kayak Canada's team total to 11 for the Olympic Games, including nine sprint athletes and two canoe slalom athletes.